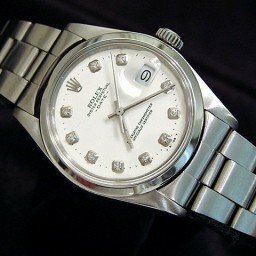 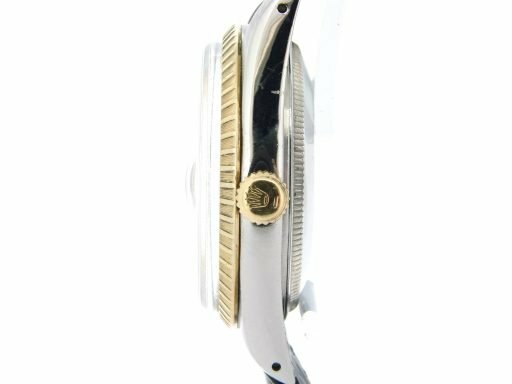 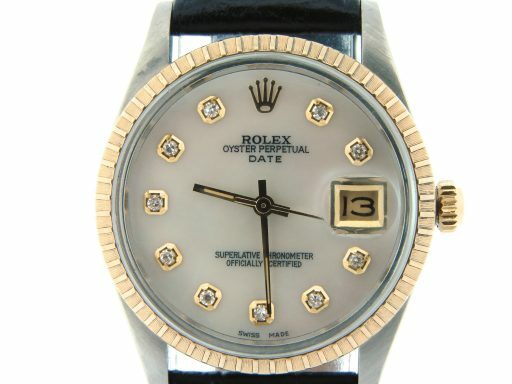 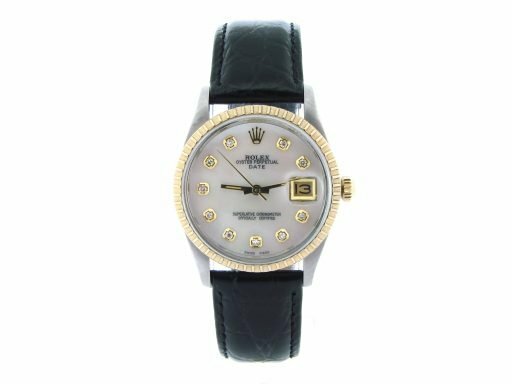 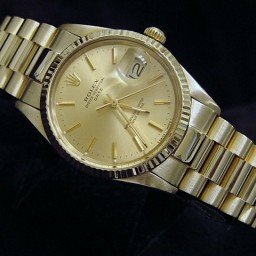 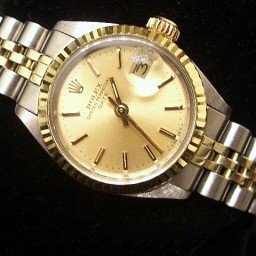 BeckerTime is proud to offer this super nice Men’s 34mm Genuine Rolex 2Tone 14k Yellow Gold & Stainless Steel Date Watch ref #15053 with a White Mother of Pearl Diamond Dial. 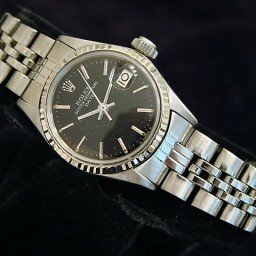 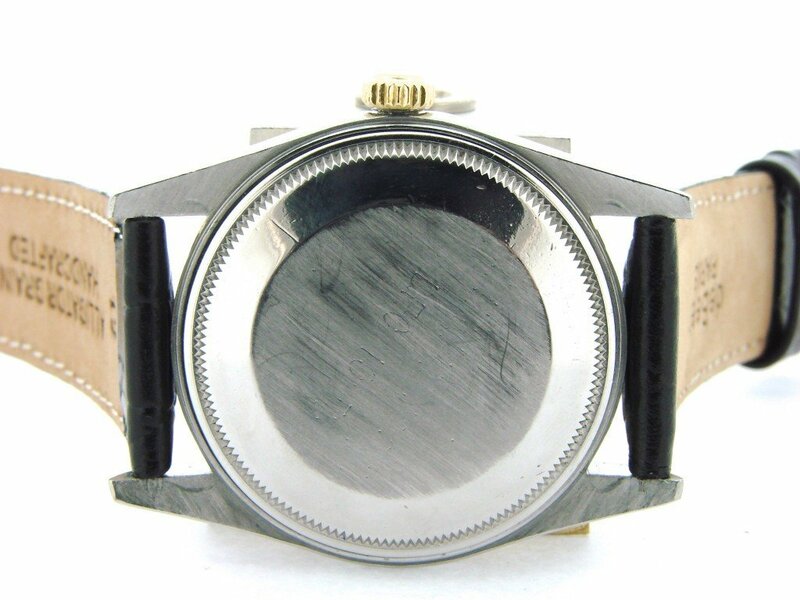 This Genuine Rolex is the desired QUICKSET MODEL that has been fitted with a custom aftermarket Black leather band. 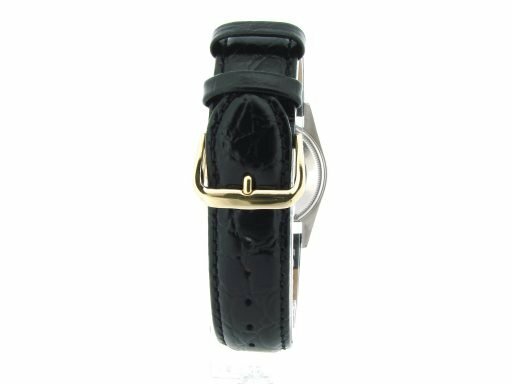 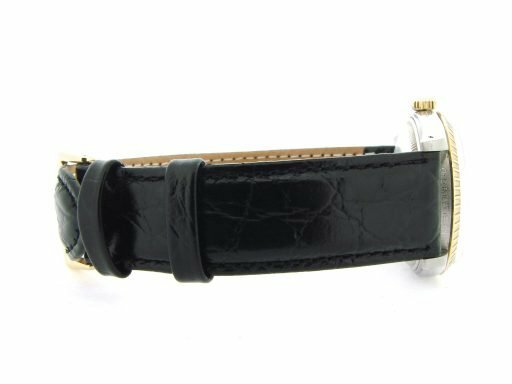 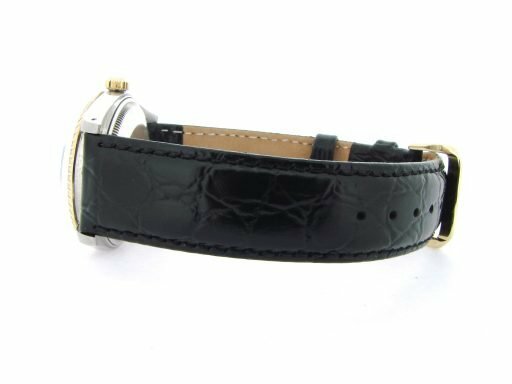 Band Genuine BLACK leather band with plain gold tone buckle. This band is not made by Rolex as it is a custom aftermarket strap.